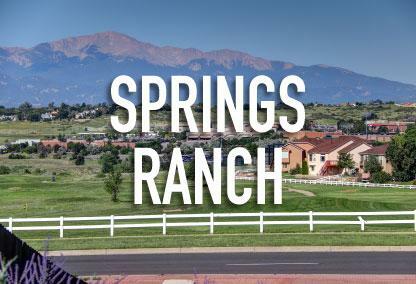 Claremont Ranch is located in the Powers Corridor of Colorado Springs, at the corner of Constitution Ave. and Marksheffel Rd. The East Fork of Sand Creek runs right through the center of the neighborhood and is part of the Sand Creek Disc Golf Course. This neighborhood started development in the year 2000 and was completely built out around the year 2010. Many of the homes in Claremont Ranch are between 1,000 to 3,500 square feet in size and are nicely landscaped to offer the neighborhood a master-planned look and feel. With quick access to King Soopers Marketplace, Fort Carson, and shopping in the Powers Corridor, this neighborhood continues to grow in popularity as this part of the city expands every year. Claremont Ranch does not have a mandatory homeowners association at this time. This neighborhood is zoned to Falcon Springs School District 49 with Evans Elementary School, Horizon Middle School, and Sand Creek High School as the primary schools for kids in the community. This neighborhood is considered to be part of the Powers MLS area within zip code 80951.